Mrs Ringling had statues carved in Italy. This, I believe a broken one was placed next to a Banyon tree which grew around it. My personal experience has been It is often impossible to walk into a grove because of the many vertical hanging branches. What a wonderful image. This little statue boy or girl was apparently standing in a wrong place at a wrong time ! Ha! That's what happens when you do not move quick enough. Amazing photo. Excellent find and a nice, tight photo. Vote. Nicely compose and fine detail..VT! Wow, who would have thought! Nice capture, Neil! This could illustrate a Ovide's tale ! 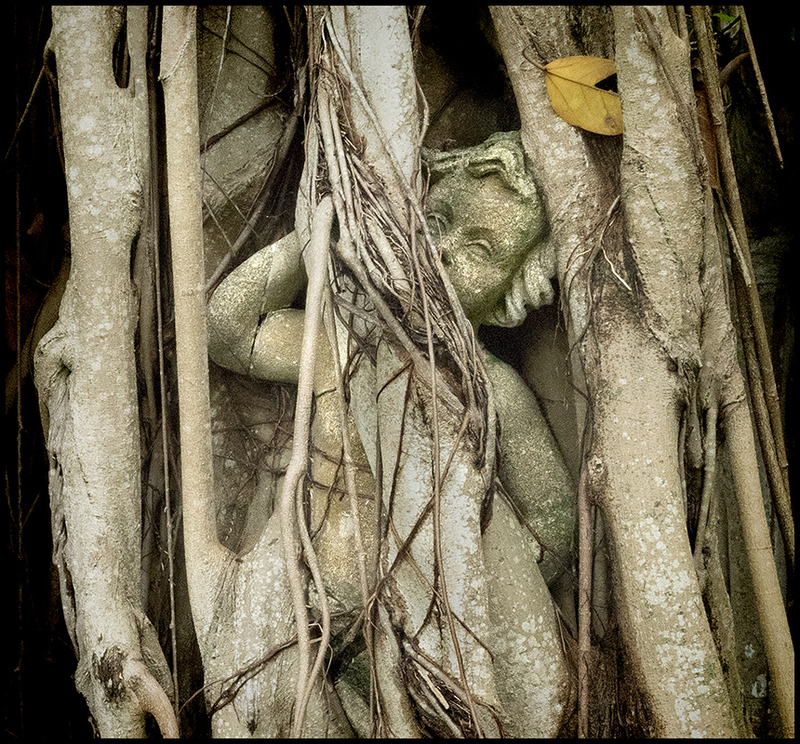 V.
almost poignant to see such a cherub so entwined...this reminds of some places in and around Angkor, Cambodia.. Unusual and fascinating. Well composed and photographed. Thanks for not removing the leaf. "V"